Since this region covers a few different states, I thought I'd start a thread for everybody to introduce themselves. I'm glorkar and I'm from the Oshkosh/Berlin area of Wisconsin. The nickname goes back to my childhood. I used to sketch and draw a lot. One day I drew a little alien-type thing and named it glorkar. I liked the way it sounded so I adopted it as my own nickname. I'm fairly new to caching. I started in September of 2009. A friend of mine was talking about it at work one day and I decided to check it out. The rest is history. I'm also a huge fan of benchmark hunting. I found my first one shortly after I started caching. A few months went by and I decided to really become active in it. GC.com was a good place to start, but has a very incomplete list of marks. Since then, using other resources, I have recovered (the benchmark hunting term for "found") around 90 benchmarks. We are The Searchers and have been Geocaching since 2001. We are from Fond du Lac/Oakfield, WI area. Looking forward to the success of this site and more types of caches. We also participate in Waymarking and some Terracaching. We are CelticCats we are from Evansville, Indiana and have just recently started Geocaching. We are DJCreekCachers. We are from Beavercreek, OH. We started Geocaching in December 2009. We have found 176 GC Geocaches and six OC Geocaches. There are only a few more than 6 OC caches in Ohio. We have hidden one OC-exclusive traditional and one OC-exclusive virtual (EarthCache-like) cache. We are hoping that Opencaching gains popularity in the near future. We have found caches in eight US states and two Canadian Provinces. Howdy everyone! I'm Ken, aka Networkcacher. I'm from Northern Virginia, an actual Virginia native. I've been geocaching since 2004 and I'm a founding member of the Northern Virginia Geocaching Organization, Novago.org. I have two OC-exclusive hides so far, more in the works. My other hobby, yes other than geocaching, is premium cigars. I am Mother Wolf & although I spend most of my time on the Isle of Kent , which is in the Chesapeake Bay, I call home south of Chicago. I commute between there & Md. so I am around the Chicago area regularly. MW, failed to mention that she is widely acknowledged as the Queen of Kent, when it comes to caching on the island. I guess I should mention that my island is only 30 sq miles of land big. A mere 8 miles long & 4 miles at the widest point. It is surrounded by the Chesapeake Bay. 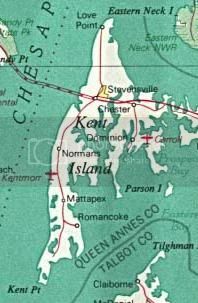 The first English establishment on the island, Kent Fort, was founded in 1631, making Kent Island the oldest English settlement within the present day state of Maryland, and the third oldest permanent English settlement in the United States, after Jamestown, Virginia and Plymouth, Massachusetts. So there is tons of history as well as 5 different eco systems to draw from for some great cache locations & photo ops. When I started caching there were only 2 caches here, 1 was then archived so I started to populate the areas with caches. There are now 49 caches, all but 9 are mine. 4 are my partners & the other 5 are seperate CO's so it has become known as 'Mother Wolf's' territory. Sorry about getting side tracked with a bit of local history but it is all part of where Im from.